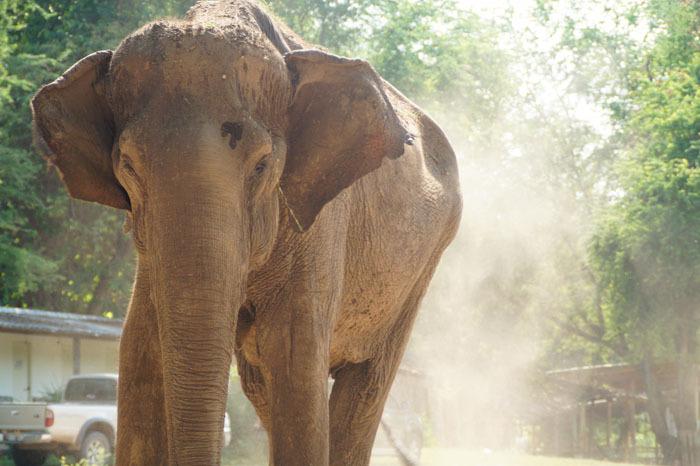 Tangmo came to ElephantsWorld from a trekking camp in the beginning of April 2014. 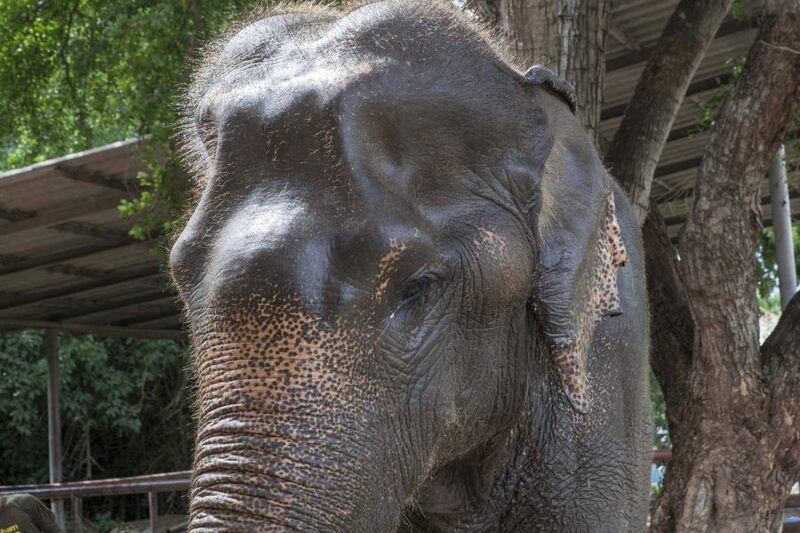 When she first arrived Tangmo was very weak and skinny. She took some time to recover from malnourishment but now she has gained a lot of weight and is much stronger. We aren’t sure why but Tango is afraid of water (update: in March 2015 Tangmo started to enjoy the water, see video below). This is unusual as most elephants love water. 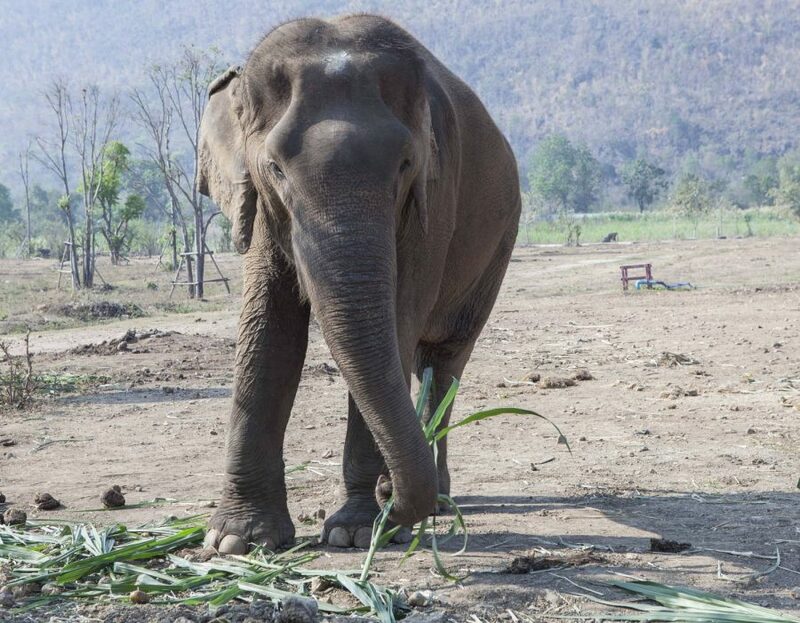 She avoids going into the river with the other elephants and likes to drink from a hose. Step by step she is getting to know this wonderful place and the other elephants that live here.